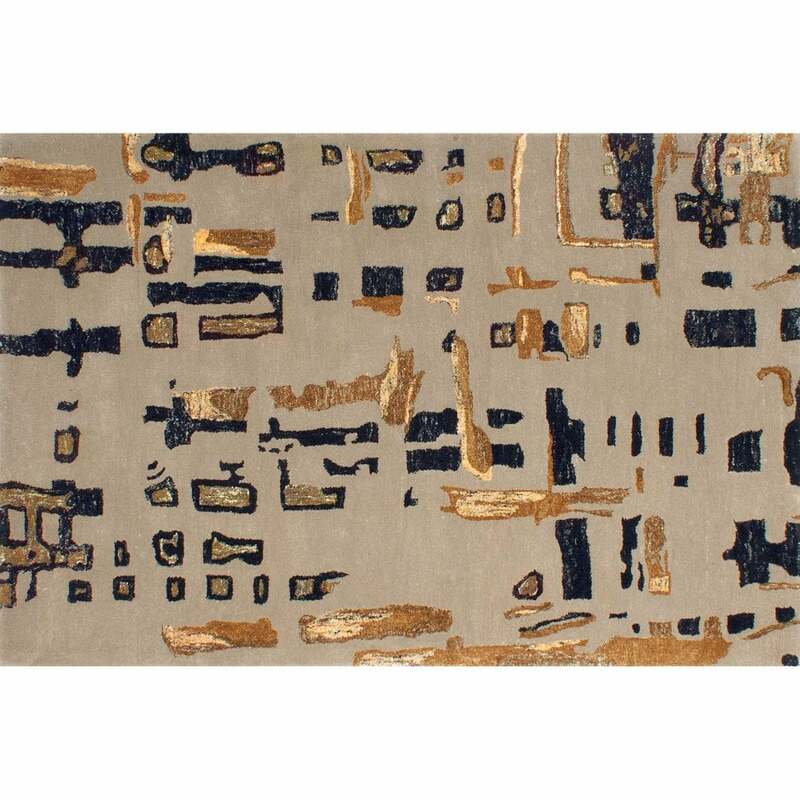 Retro style with a contemporary touch, the Folk Rug by Serge Lesage is inspired by abstract markings from prehistoric art. Folk subtly combines ochre and black pigments to create a striking pattern. The variation of wool and silk threads create contrast and texture whilst the raised effect adds depth to the stylised motifs. Hand-tufted using the finest New Zealand Wool and Sari viscose, the Folk Rug is treated with the utmost precision and care to create a unique design that stands the test of time. A must-have piece for any design lover, Folk will suit both minimal and retro interior styles. Bespoke sizes available on request. Make an enquiry for more information.